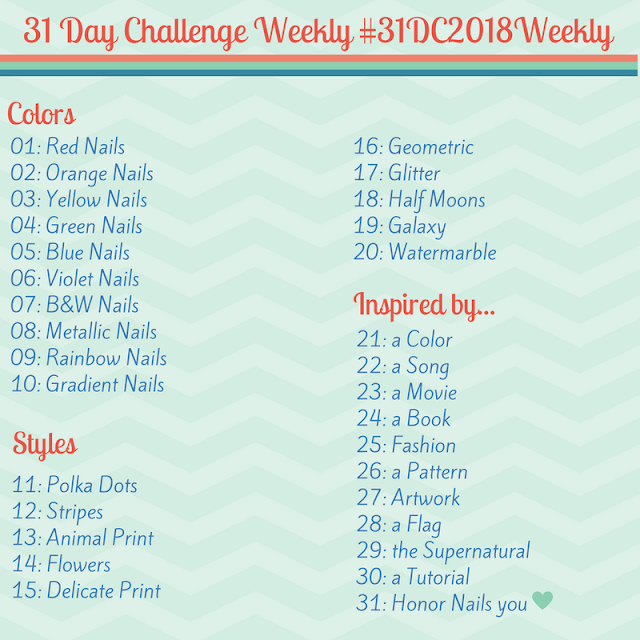 Inspired by a Song for the #31DC2017Weekly - Polish Etc. Okay...I know. I am so behind on the #312017Weekly it is shameful. But I am going to catch up so quickly, don't you worry. My lovely partner, Lotte, has kept up right on track. She is awesome. I left off at "Inspired by a Song" and I am currently in South Carolina in the direct path of the Great American Eclipse. There is only one song that could be my inspiration today and that is Total Eclipse of the Heart by Bonnie Tylor. She is actually going to sing this song live tomorrow for the eclipse! The eclipse is a big deal for my and my fam. We have always been engaged in the celestial happenings. We all converged onto a little lake house in the Carolinas in the direct path of totality to witness this awesome event. 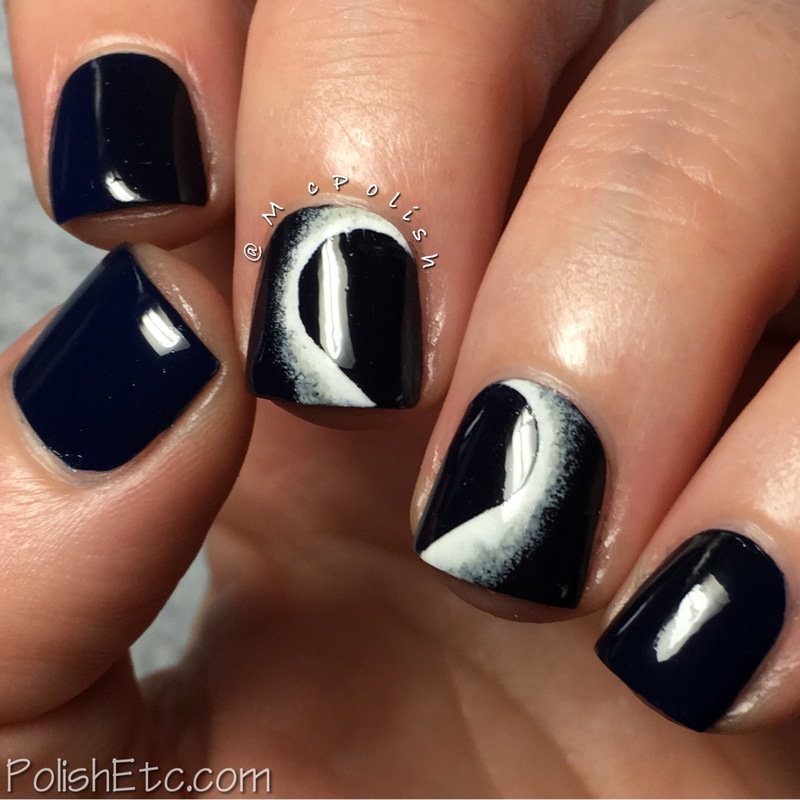 Why not have awesome nails to commemorate the day? 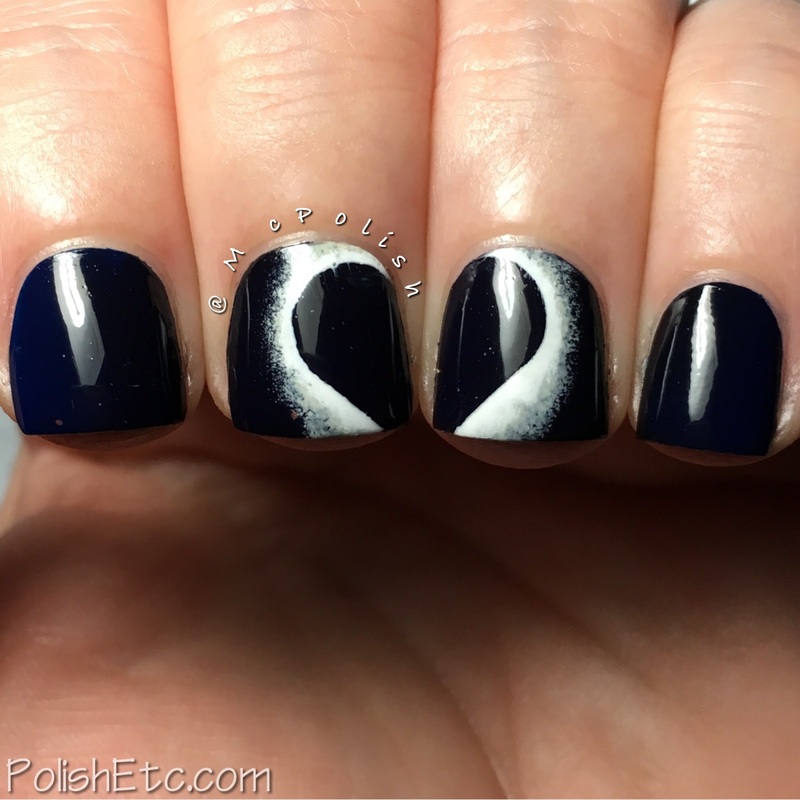 For this look, I did a subtle gradient of deep navy to black across my nails with the black centering on the middle and ring finger. It's subtle, but you can see it. 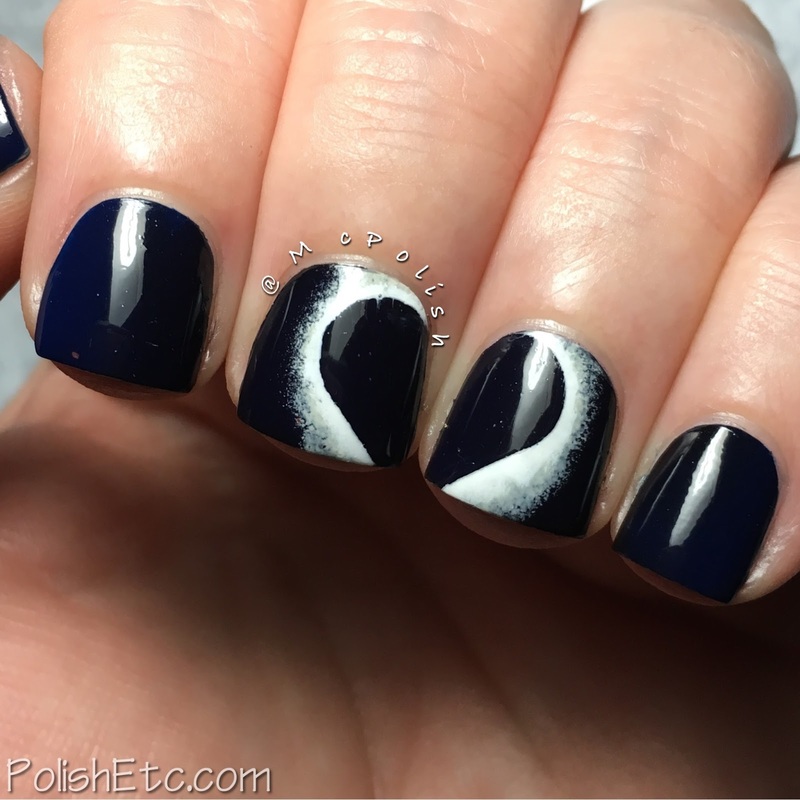 Then I cut a heart shaped nail vinyl in half and placed each half on the edge of the middle and ring finger. I sponged on a light yellow that faded out further from the vinyl and then a bright white just along the edge of the vinyl. A glossy top coat was applied to seal in the design once I took off the vinyls. Ooooh, this is so totally cool! :) And I love it that you all meet to celebrate this eclipse, that is an awesome way to live it.